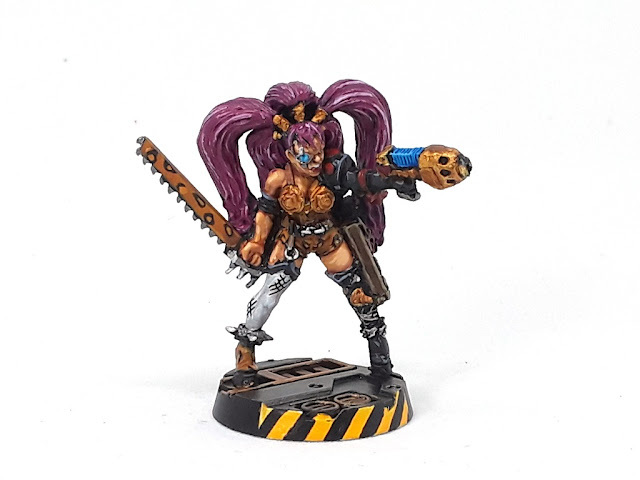 Mordian 7th Regiment: Necromunda - Mad Donna Ulanti painted! Another quick hit today - As a significant change of pace for me, I've just been working on one model at a time, and it's been pretty fun! Definitely requires a little adjustment, I'm so used to doing 15-20 at a time that having to wait for paint and washes to dry on a miniature between passes is something I rarely have to do! 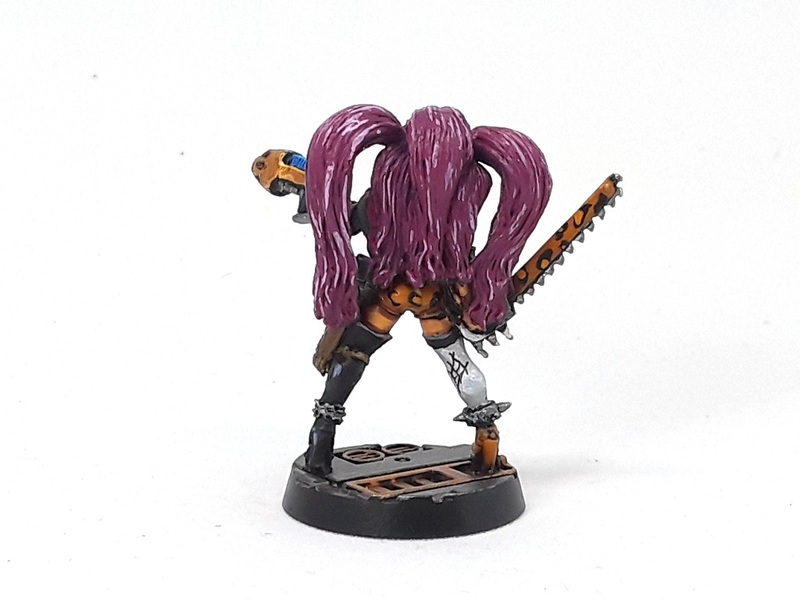 In any case, next up on the painting desk was another blast from the past - D'onne Astride Ge'Sylvanus of the House of Ulanti, often shortened to D'onne Ulanti and better known as "Mad" Donna! Having just re-read "Survival Instinct" recently I rather enjoyed painting up the miniature, though it's definitely a product of its time and the sculpt hasn't aged well comparatively speaking. I had given some thought to replacing the chainsword and plasma pistol with a modern equivalent, but in the end felt the charm of the old school model would be compromised by doing so. Once again I stuck close to the 'official' paint scheme, with plenty of leopard print, black and white leggings and bright pink hair! Next up I'm diving in to the new Forge World hired guns, really looking forward to it! Nothing says badass like a leopard print chainsword! The sculpt may have aged poorly, but the design sense there is still great, so much character in that Model. The colour scheme is still a classic, too, and you did a great job with it. She looks fantastic! Thanks very much! Painting her again after all these years really took me back! 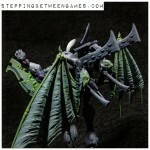 Yeah the sculpt has not aged too well, especially if stood beside the current Escher range. That being said the connection back to it the past does soften the eye on its faults. Good job on it. Must be tricky to do only one model at a time for you. Wow, great work! I really like the hazard stripes at the front of the base. Good looking and functional too. Thanks man! Figured the stripes were a good way to mark out the front 90 that fit the aesthetic. But your painting is true to the original scheme and I like it mate.